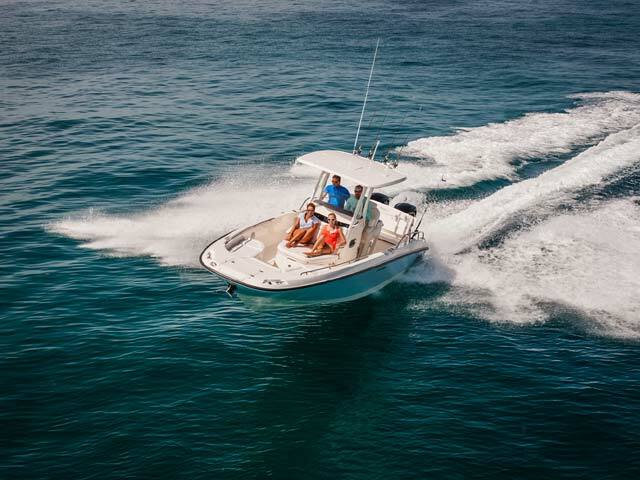 For versatility and effortless enjoyment, the Boston Whaler 270 Dauntless is unrivaled. 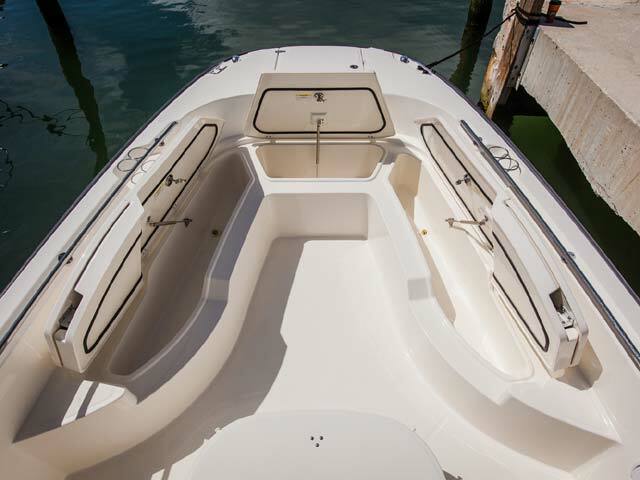 Comfort and ease start in the bow of this impressive center console model, where port and starboard seats feature innovative flip-up backrests and ample storage underneath. 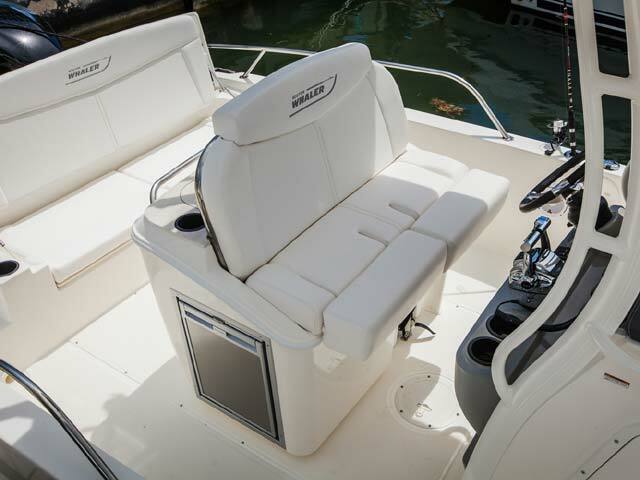 The forward lounge seat features its own plush backrest and flip-up armrests, and also houses a cavernous, lockable storage compartment. 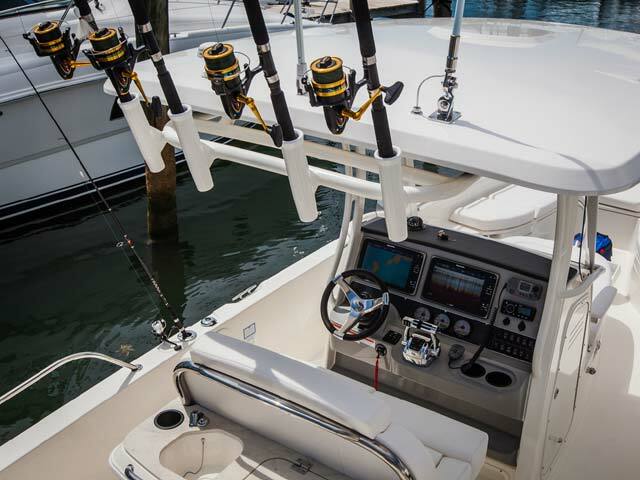 For entertaining or offshore fishing, the spacious cockpit includes a leaning post with rod holders, a cooler and purpose-driven options like a large livewell or 3-drawer storage, plus an optional integrated hardtop. 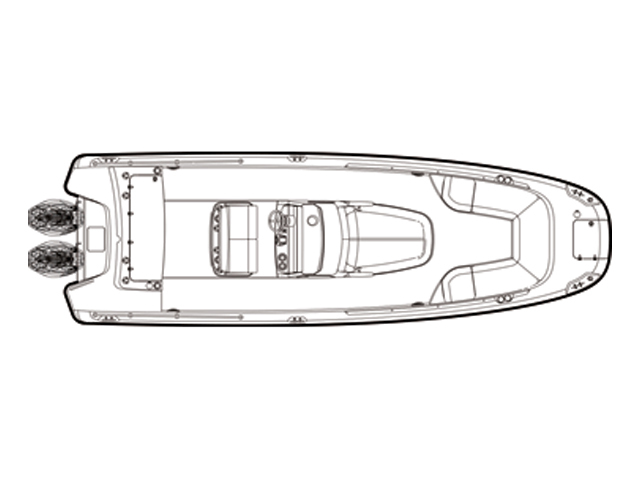 The 270 Dauntless also features Whaler’s innovative aft bench seating, which converts smoothly and easily to form a huge casting platform or comfortable space to relax. 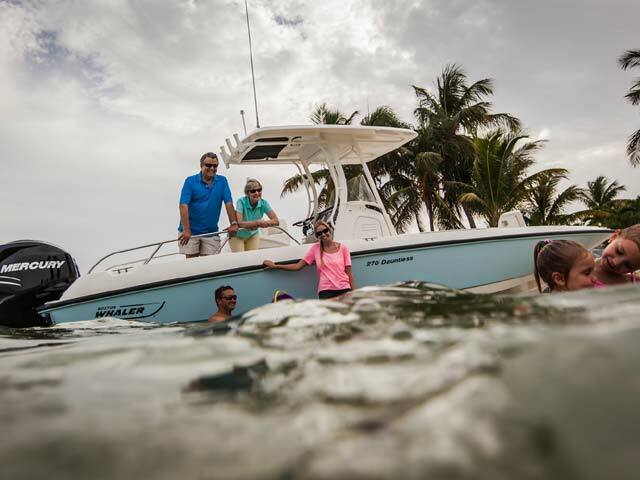 A large integral swim platform provides extra safety, and powerful Mercury outboards provide strong, reliable performance. 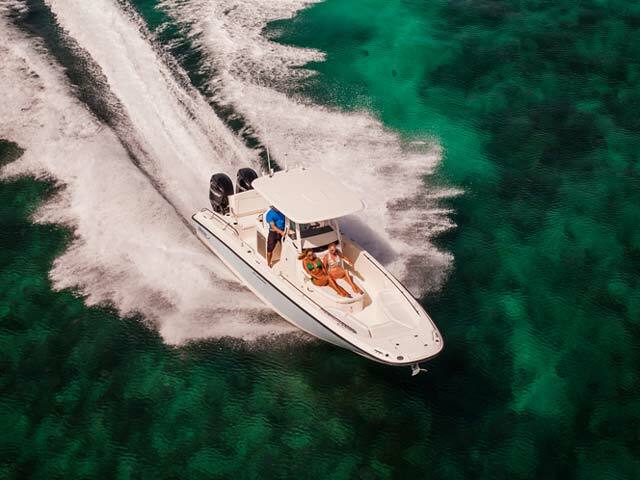 Plus, watersports enthusiasts will relish the opportunity to carve wake on wakeboards and skis from behind the optional All-Activity Tower. 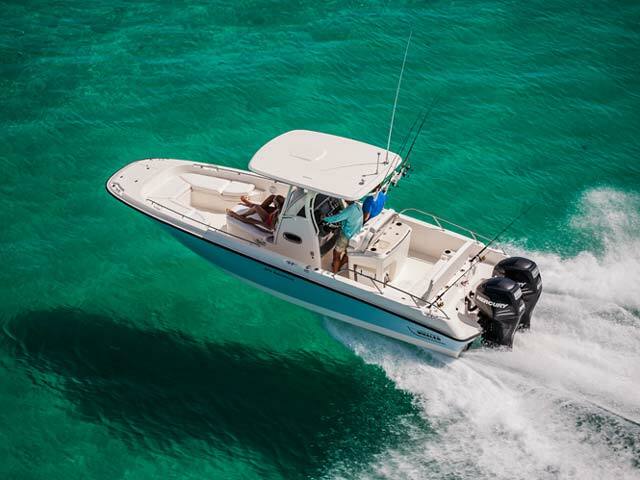 At every turn, the 270 Dauntless is the epitome of capability and comfort.